How about brie, sautéed mushrooms and onions, thick cut bacon and no bun with lots of dipping sauces on the side? That was mine. 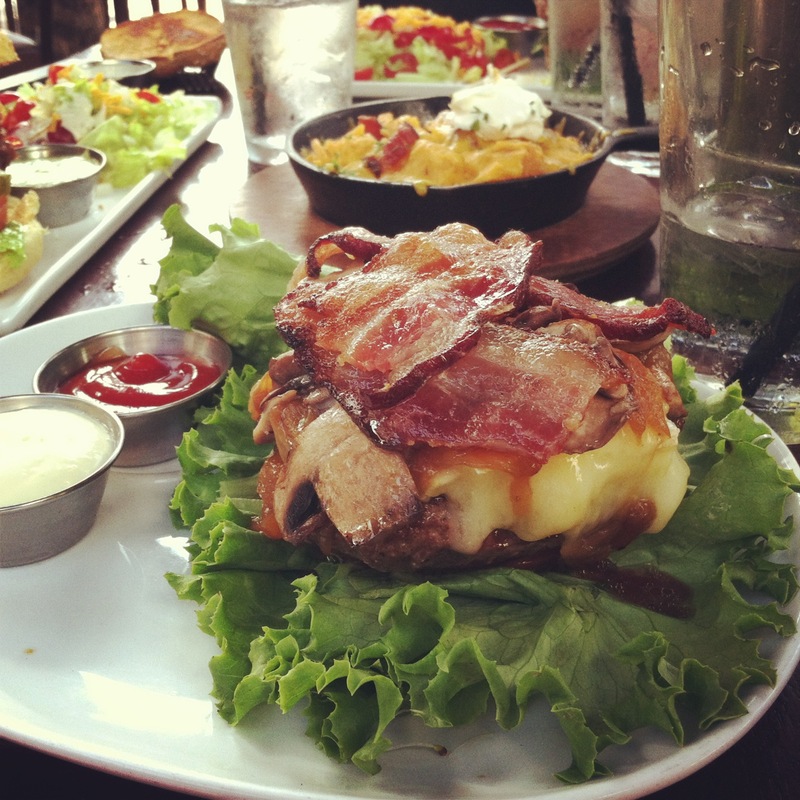 You should design your own burger at Rok Brgr. Turkey burger? Done. 12 kinds of cheese? Alright. Loaded tots with bacon and sour cream served in a cast iron skillet? You know you want to. Or maybe a side salad to take the edge off your cholesterol guilt? Rok Brgr has all this and outdoor seating. Boom. Or maybe BBQ is more your style? 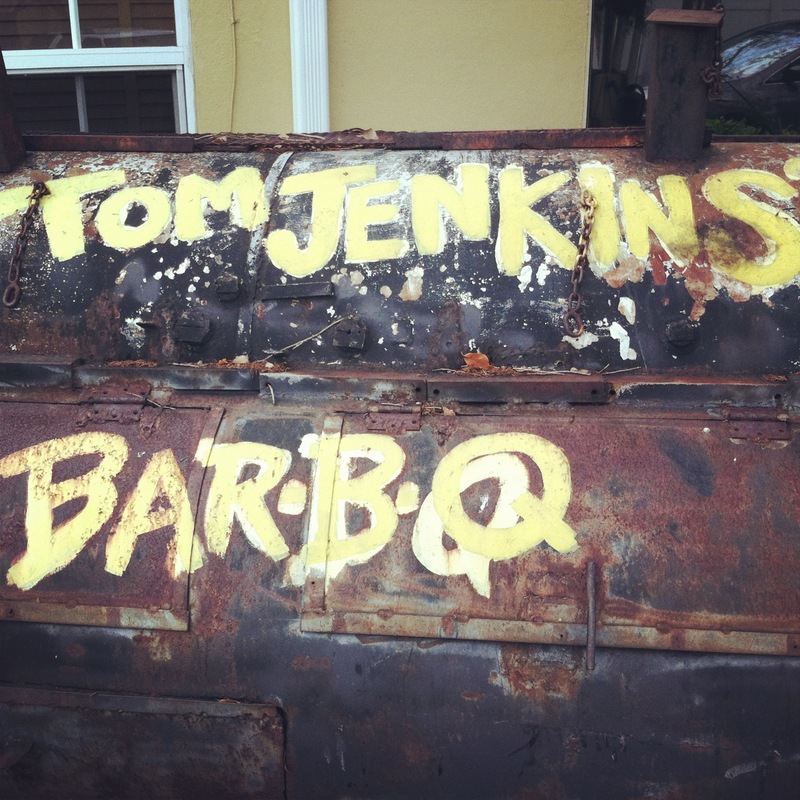 Then go over to Tom Jenkins and get in line. The place is minute, there’s always a wait and you might need a back up plan for where you actually eat because chances are good that the 4 tables inside will all be full by the time you get your food. But the smoker is ancient, the meat is incredible and don’t forget the peach cobbler. Good BBQ In Florida? Who knew? Try Tap 42. Craft beer, hand crafted cocktails and hand crafted craft beer cocktails. So many options! The bar is indoor/outdoor, the patio is breezy and shady and the food is delicious. 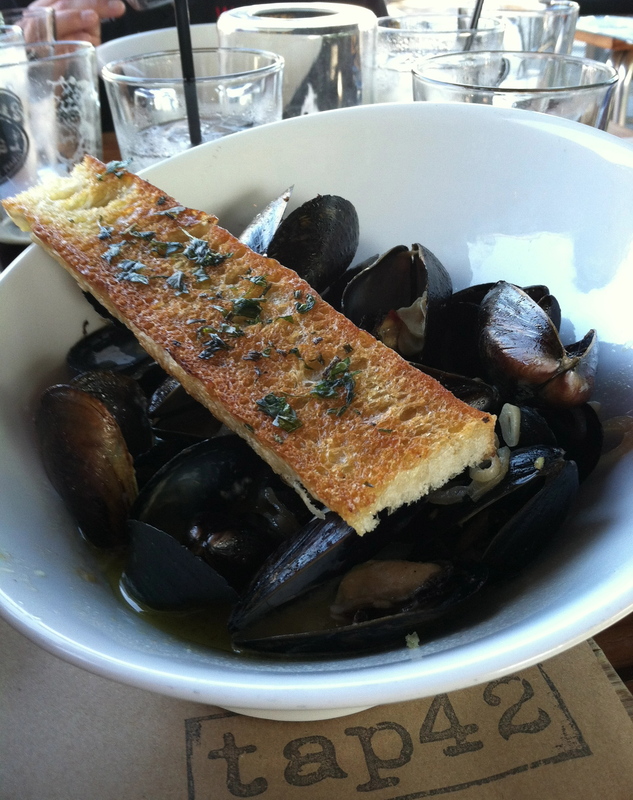 Try the mussels and the quinoa salad. And just for grins, how about a late night option? 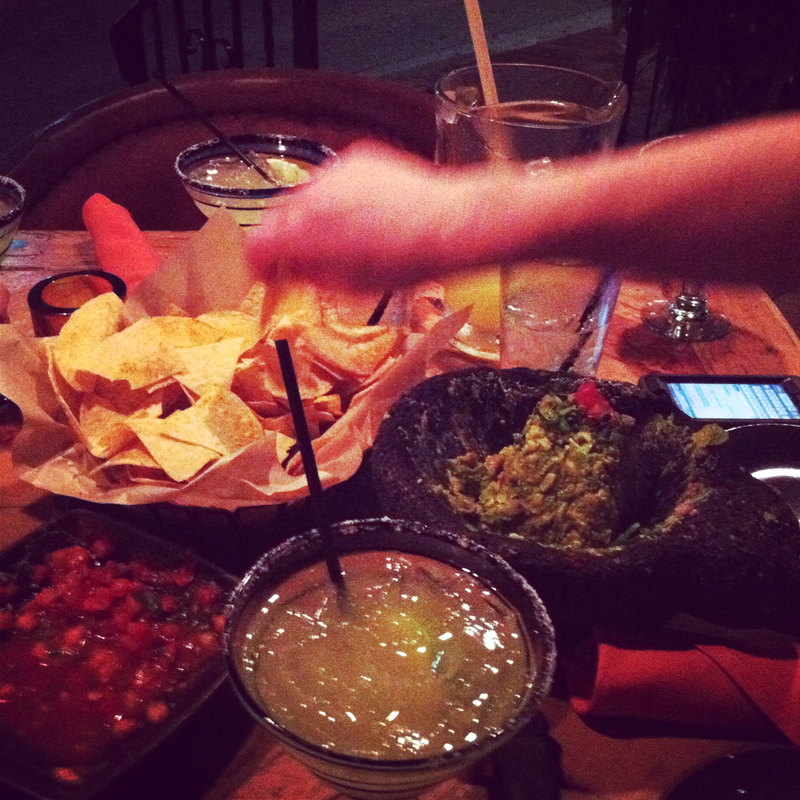 Get the guacamole at Rocco’s Tacos and watch them prepare it table side. Follow it up with tacos and pitchers of margaritas.The margaritas have a punch to them so beware… In addition to the great food, I love the Mexican art work inside and all the beautiful light fixtures. On the weekends the place is jam packed, the music is loud and the place is hopping but during the week you can sit on the patio without any wait. 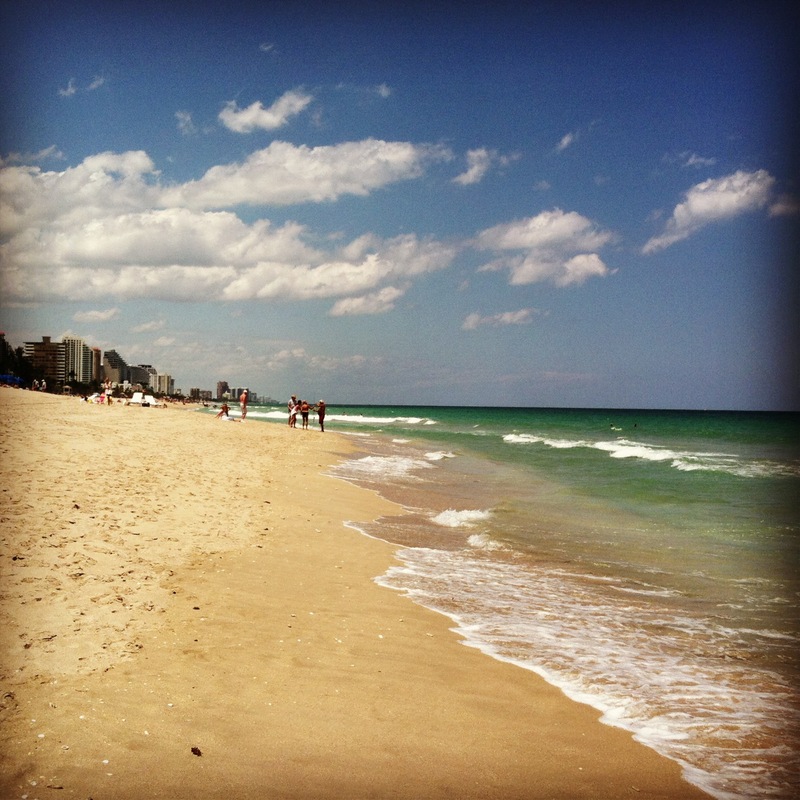 Nice job, Ft. Lauderdale! You’ve got a lot more going on than just the beach. This entry was posted in BBQ, Burgers, Eating, Florida, Ft. Lauderdale, Good eating, Mexican Food, Tacos and tagged Eating in Florida, Florida, Ft. Lauderdale, Rocco's Tacos, Rok Brgr, Tap 42, Tom Jenkins BBQ. Bookmark the permalink.